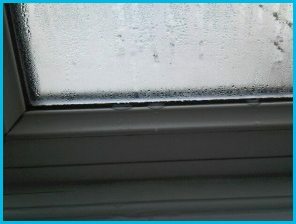 Condensation is perhaps the most common cause of damp problems within homes and offices. It comes from water vapour within the building and common sources of this water include cooking, bathing, showering, and dishwashers. Many modern homes are inadequately ventilated so humidity builds up within the property and then condenses in areas of poor air circulation when the internal house temperature naturally changes throughout the day. 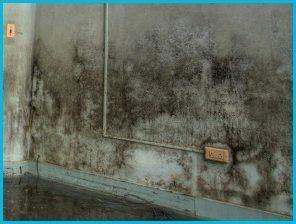 As with penetrating damp, excessive condensation can result in black mould and mildew which is unsightly and can have a negative impact on your health especially for those who suffer from asthma and/or allergies. Positive ventilation systems automatically and gently force air from the loft around the other areas of a building. 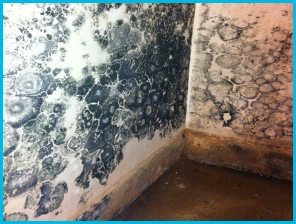 This serves to decrease humidity and eliminates the re-occurrence of black mould and mildew problems in your home. Where required, the system can be fitted with a safety heater which will warm the air if necessary. 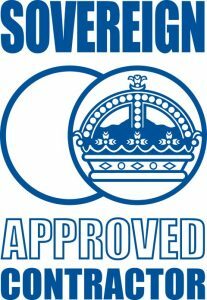 This solution can be a cost effective way to improve the air quality within your home by removing a number of airborne pollutants, whilst preventing the re-occurrence of black mould once it has been removed. Wall vents offer a way to allow water to escape from your property but prevent it from entering by use of a permeable membrane. Due to the differences between internal and external temperatures, water vapour is able to pass to the outside whilst resisting fast air movement and preventing heat from escaping. With many properties being built on a suspended wooden floor, the lack of air movement in the void below the floorboards can leave stagnant and humid air, allowing moisture build up which may then condense on brick and woodwork. Over time, this excess moisture can allow the woodwork to rot from below. To remedy this type of damp problem, airbricks are installed to allow air to flow freely between the inside and outside of your property. Care is required in the longer term to ensure that these airbricks do not become blocked by external debris or if in cavity walls, that insulation or rubble does not block the airbricks from the inside of your walls.